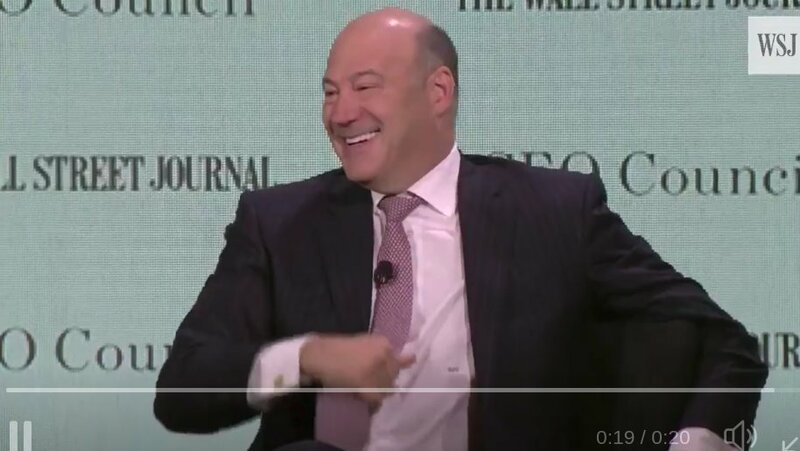 Gary Cohn is Donald Trump's top economic advisor; while on stage this week at the Wall Street Journal's CEO Council meeting, he called for a show of hands from CEOs who were planning to invest more if their tax bills were slashed in the new GOP tax plan. Virtually no one raised their hands, prompting Cohn to look surprised and ask, "Why aren't the other hands up?" Cohn is pretty much the only person surprised here, though. US companies are enjoying record profits and have notably low levels of investment. Last summer, a Bank of America-Merrill Lynch survey found that the majority of executives at major US companies would use any tax windfalls to pay down debts and engage in financial engineering such as share buybacks.